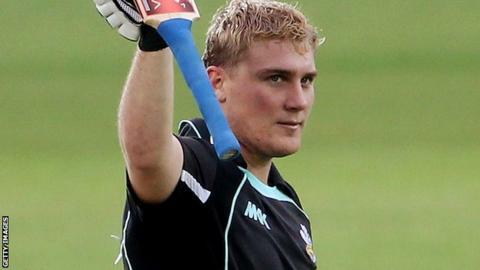 Somerset have enquired about signing Surrey batsman Rory Hamilton-Brown. The 25-year-old relinquished the Surrey captaincy in August following a spell of compassionate leave as a result of the death of team-mate Tom Maynard. He is under contract at the Oval until 2014 but has been given permission to speak to other counties. Outgoing director of cricket Brian Rose confirmed he had made an initial approach for the player but talks remain in a "preliminary stage". "Any suggestion of the club signing him is extremely premature," added Rose, who will stand down from his role this summer. Hamilton-Brown is in his second spell at his boyhood club, having left mid-contract in 2007 for Sussex before returning three years later.